ArenaNet has announced that it will be sponsoring a Halloween diorama contest. Remember dioramas? Those shoe box projects from elementary school? ArenaNet wants you to make a Guild Wars 2 themed diorama with a spooky Halloween feel to it. 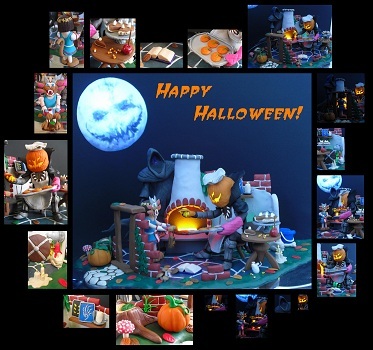 This year we want you to put your imagination and craft skills to work by creating a diorama that combines two of our favorite things:Â Halloween with Guild Wars 2! Weâ€™ll have a wide range of prizes, including cool Guild Wars 2 branded peripherals fromSteelSeries, graphics cards from NVIDIA, a signed Making of Guild Wars 2 book, and more! The image below is a diorama based on the original Guild Wars game.